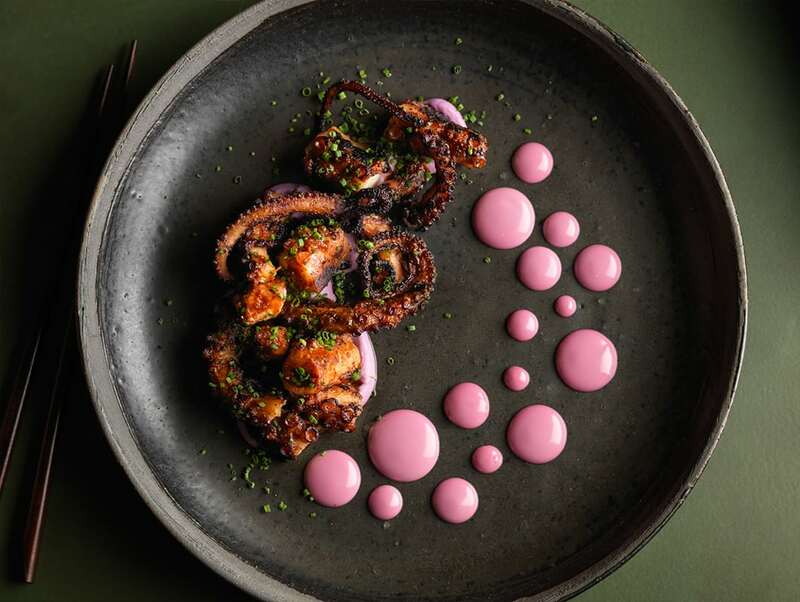 Whether you count yourself among the lucky ones who live and work in Miami, or you have plans to visit, you’re spoiled for choices when it comes to dining in South Florida. Looking for al fresco dining options? 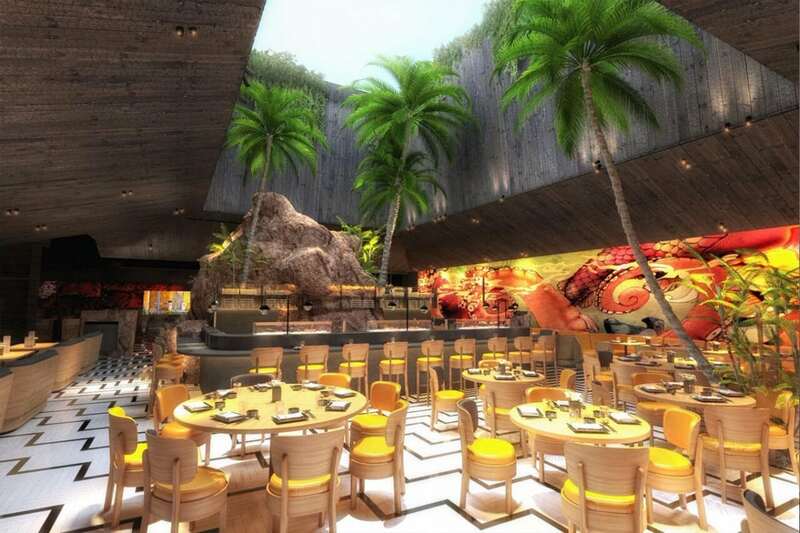 Principal Jay Britto recommends Chotto Matte, a gorgeous 219-seat restaurant with a retractable roof. 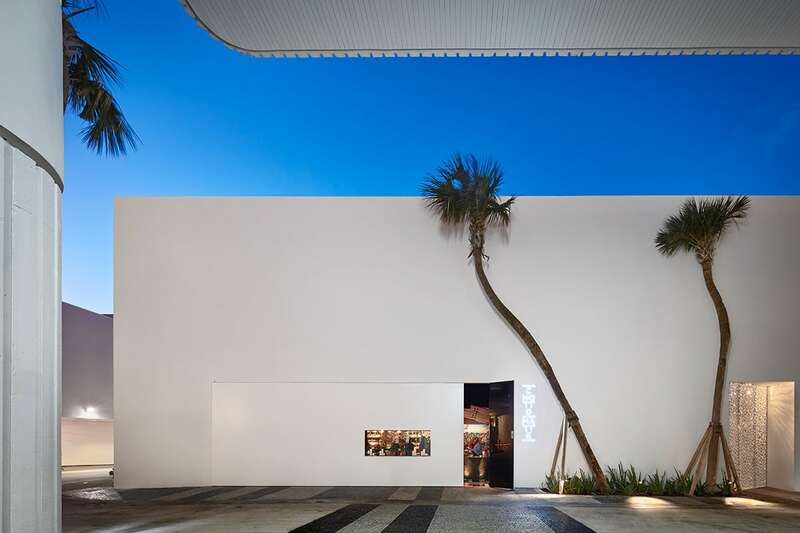 The exterior is a modern masterpiece of chiseled white lines and angles. But one of Jay’s favorite aspects of the design, a massive door nearly the length of the exterior wall, pivots open to reveal a wonderland of colors and textures. 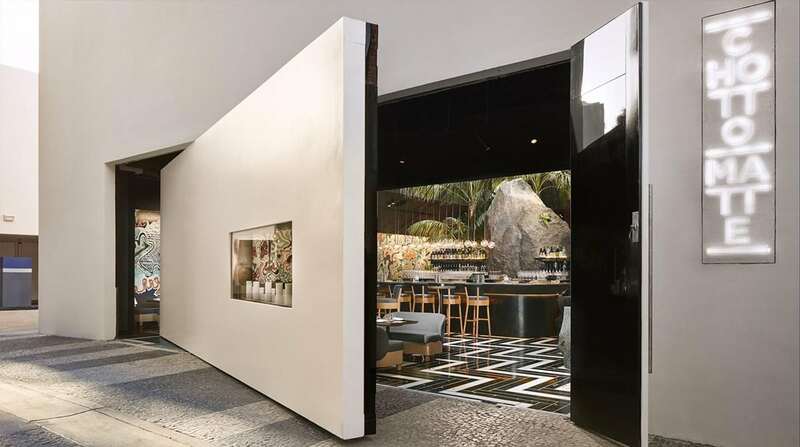 Designed by Andy Martin Architects, the restaurant’s interior is a masterful marriage of stone, steel, glass, and wood. 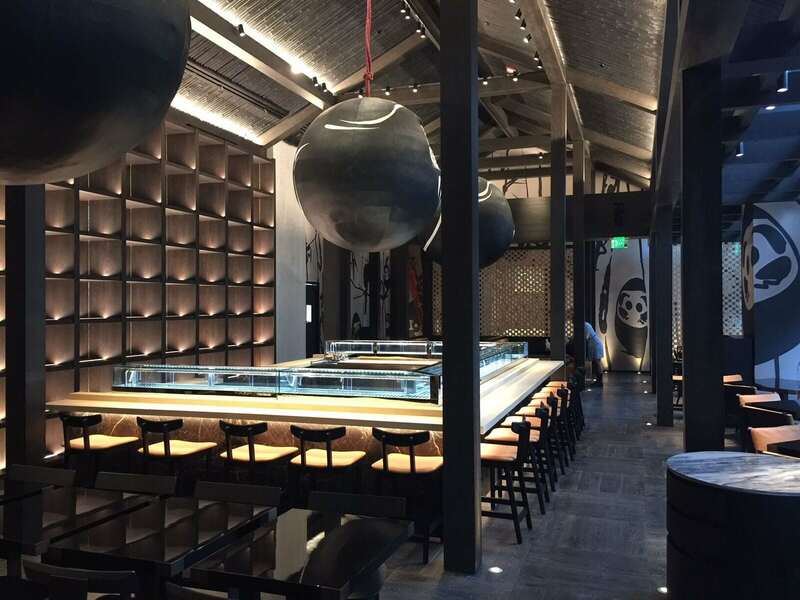 The Shou Sugi Ban (a traditional Japanese wood preservation technique) timber ceiling and a 19-ton boulder imported from Sicily anchor the space. 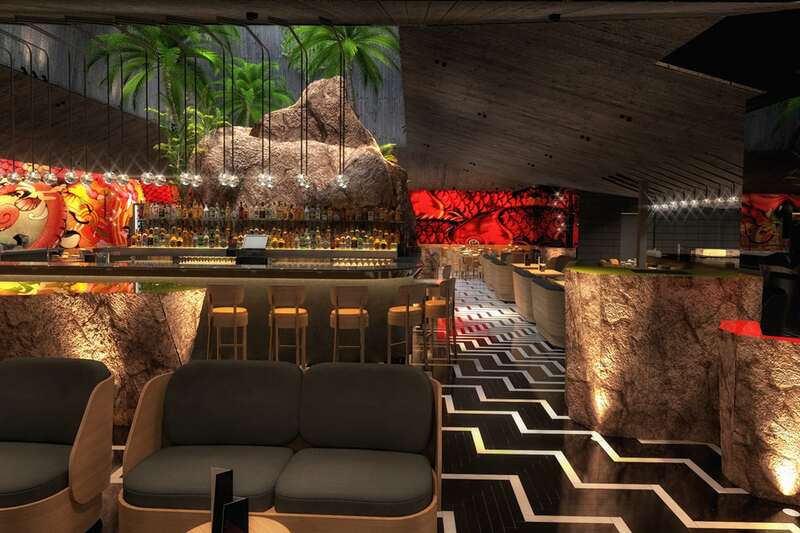 Hanging gardens by Raymond Jungles, patterned floors, pops of color in the furnishings, and vibrantly colored murals from Miami’s own Marcel Katz and Ahol Sniffs Glue add the perfect dramatic flourishes. When you go…the ceviche is a must. And don’t forget to try the libations. We recommend the Nikkei Old-Fashioned, an unforgettable elixir of banana-infused rum, orange blossom, and honey poured over chocolate. 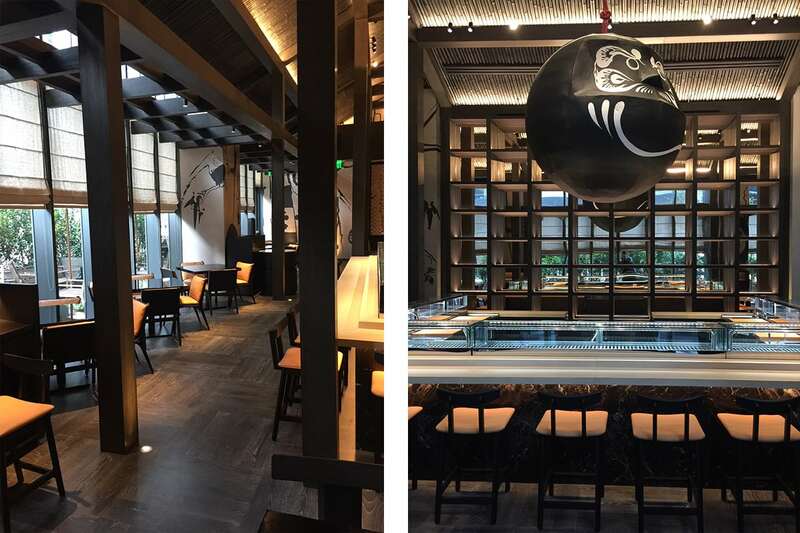 Located in Brickell at SLS LUX, this beautifully rendered hotspot serves up an award-winning menu from renowned master sushi chef, Katsuya Uechi. 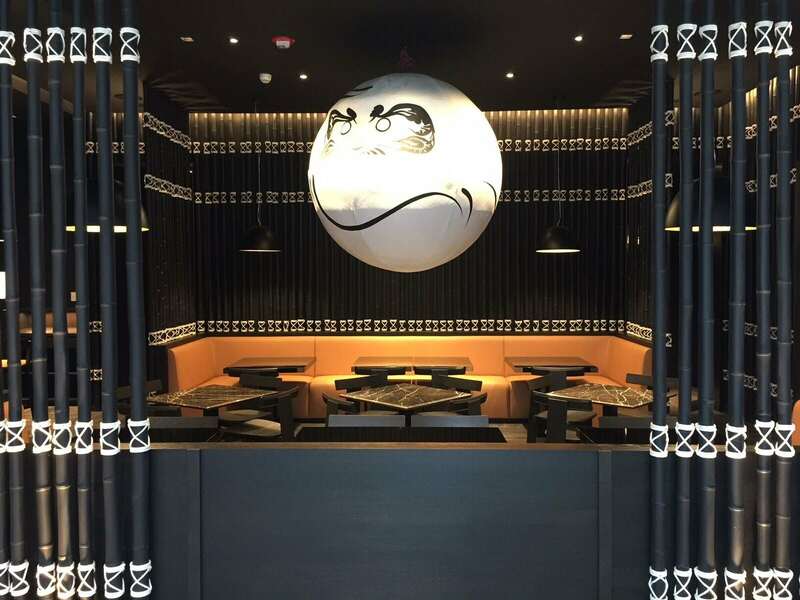 Designed by George Yabu and Glenn Pushelberg, Katsuya is simultaneously sleek and inviting. Principal David Charette loves the dark tones that suffuse the room with warmth. 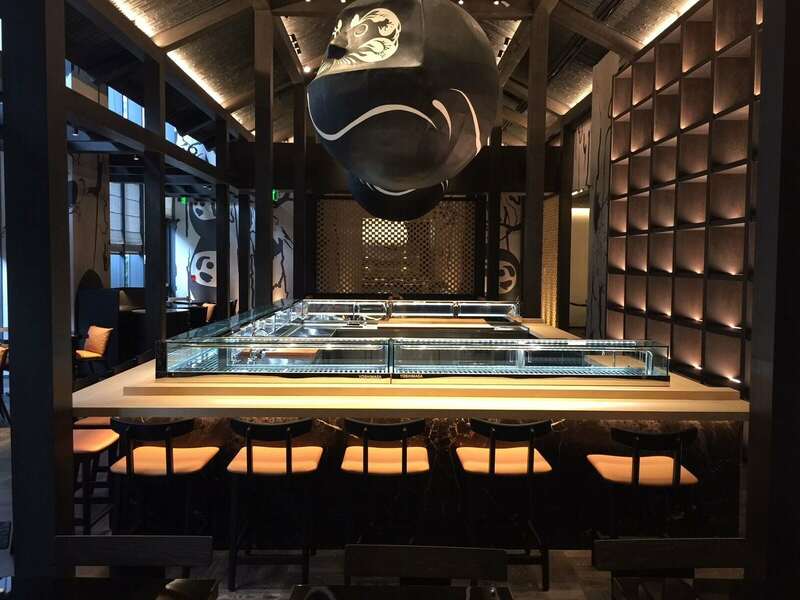 The traditional Japanese beer hall silhouette is embellished with wood floors, bamboo, marble tabletops, and a mesmerizing wall of stacked sake boxes. Recommended dish? David says the crispy rice with spicy tuna is not to be missed. And don’t forget to try the Kiwi Envy, a tantalizing combination of gin, St. Germain, kiwis, and lime.